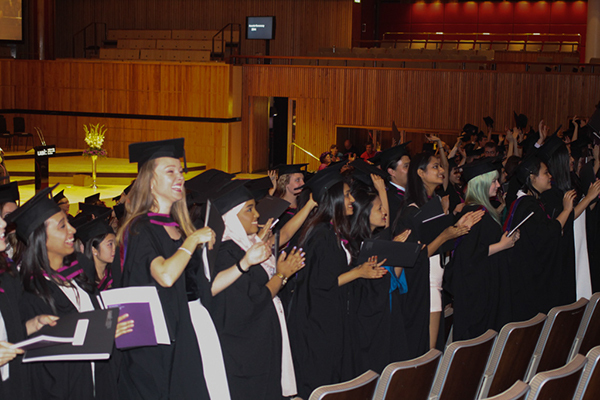 We were thrilled to start last week at London’s Southbank Centre, celebrating with our students as they enjoyed their graduation ceremony. 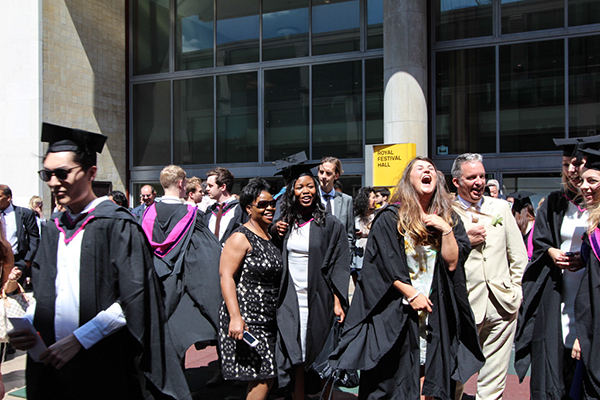 Bright sunlight provided the perfect backdrop as students and their families buzzed around the Royal Festival Hall. Hosted by Universty of the Arts London’s Chancellor, Kwame Kwei-Armah, the ceremony itself was an excellent opportunity to look back on the hard work of all our students, and congratulate them for their huge success. 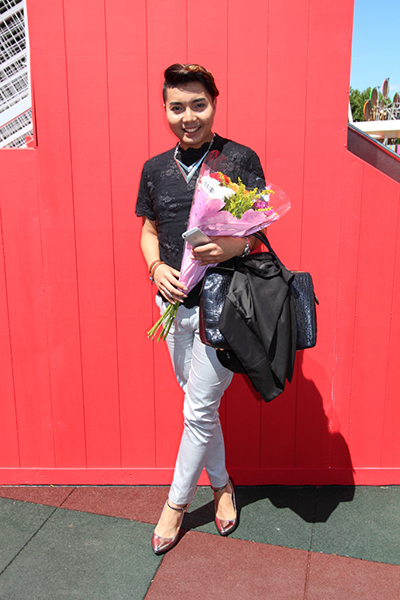 Also honored at the ceremony were artists Mariko Mori and Frank Bowling, who this year donated ten scholarships for students applying to Chelsea’s MA Fine Art over the next five years. Both became Honorary Fellows at the event, and were followed by a moving speech from Jheni Arboine who spoke on behalf of the student body. Below are some pictures from the day which we hope you will enjoy. You can catch some other snaps on our Instagram account: @chelseaUAL. 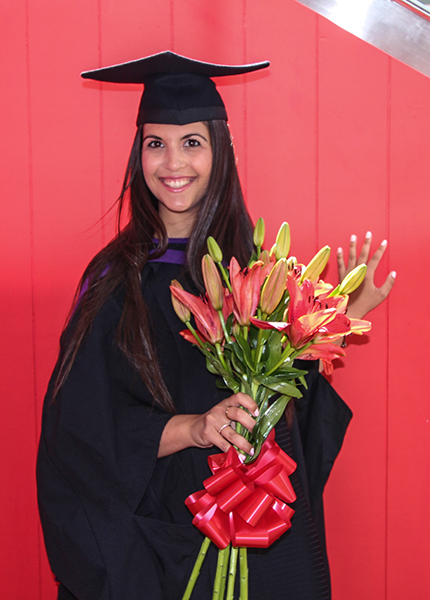 Angelina Papaioannou who has graduated from MA Interior Spatial Design. 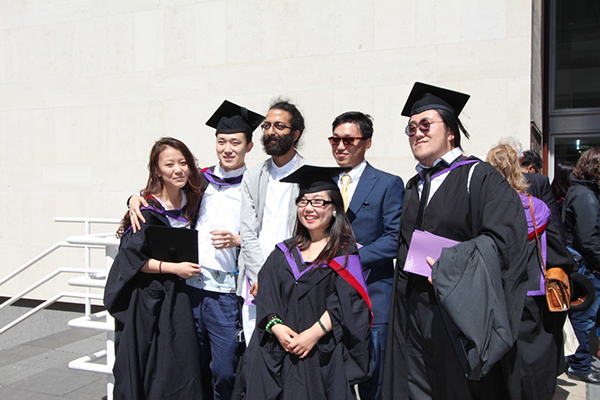 Students from our BA Graphic Design Communication celebrate their graduation. Tutor Babak Ghazi with students from MRES Arts Practice and MA Fine Art. Bido Betiri celebrating receiving Grad Dip in Interior Design. 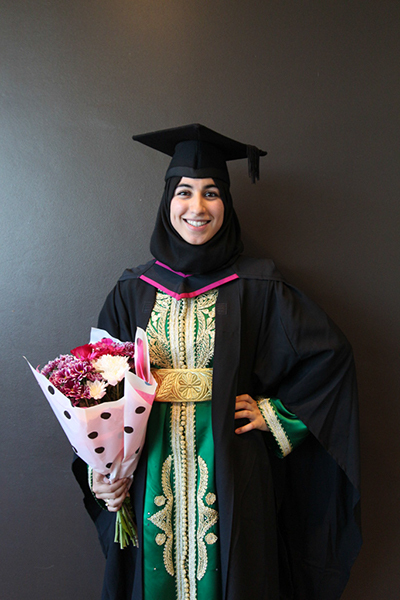 Iman Benali has graduated from BA Textile Design. Students in the Royal Festival Hall turn to thank their families and loved ones who had come out to support them. 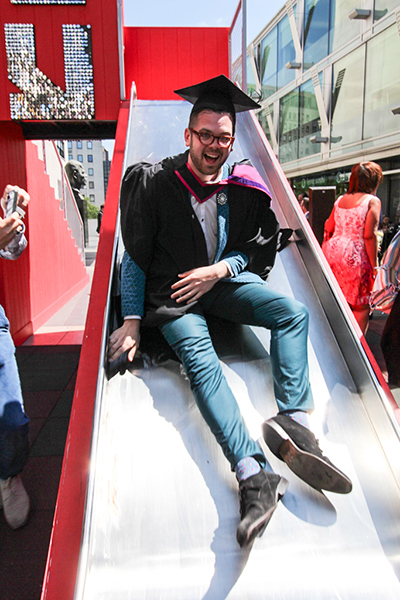 Liam Moore celebrates receiving his BA in Graphic Design Communication on one of the Southbank’s slides. 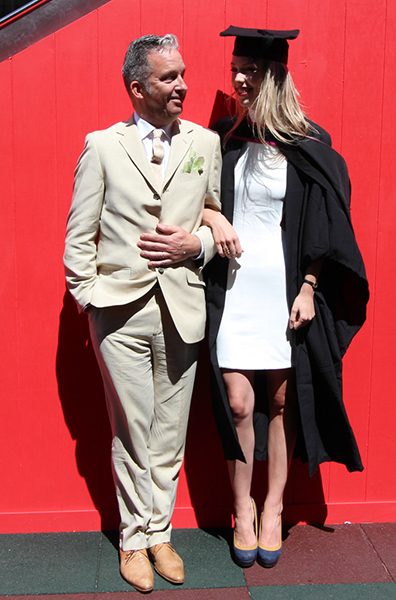 Nigel Bents, tutor on our Graphic Design Communication course with graduating student Eilidh Fraser. You can read more about all of the University’s Honorees on our dedicated webpage and read the University’s coverage of the ceremonies on their news page.